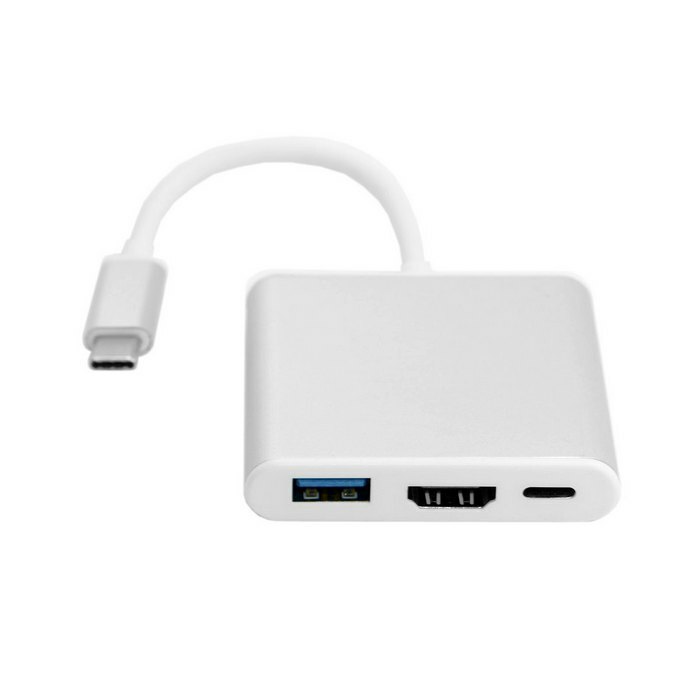 The USB-C Digital AV Multiport Adapter lets you connect your Mac Book with USB-C port to an HDMI display, while also connecting a standard USB device and a USB-C charging cable. 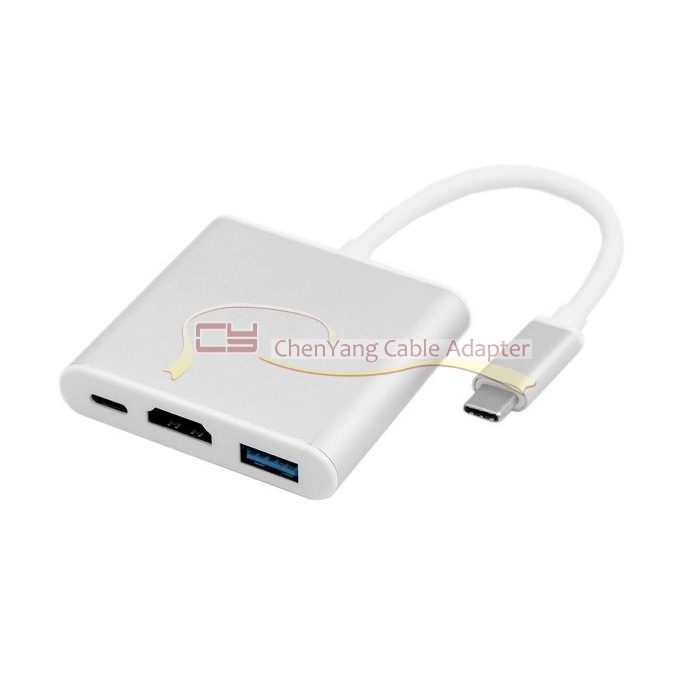 This adapter allows you to mirror your Mac Book display to your HDMI-enabled TV or display in up to 1080p HD. 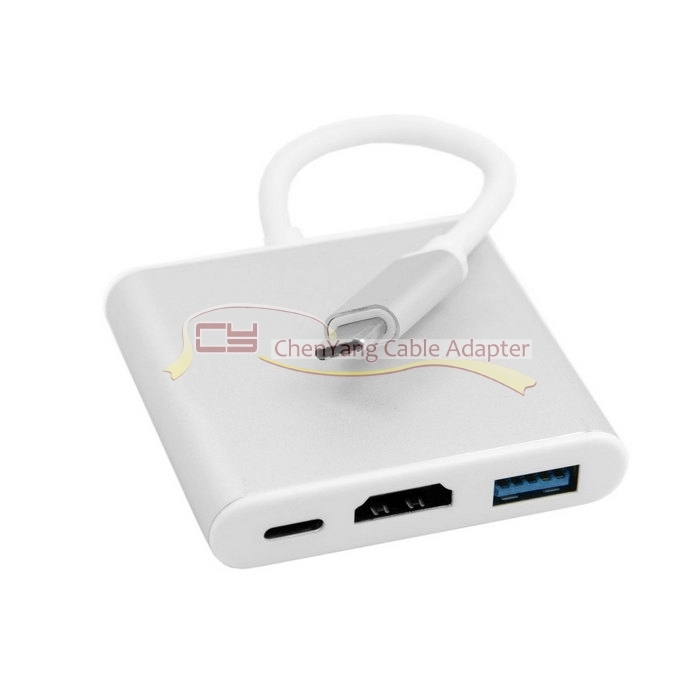 Simply connect the adapter to the USB-C port on your Mac Book and then to your TV or projector via an HDMI cable (sold separately). 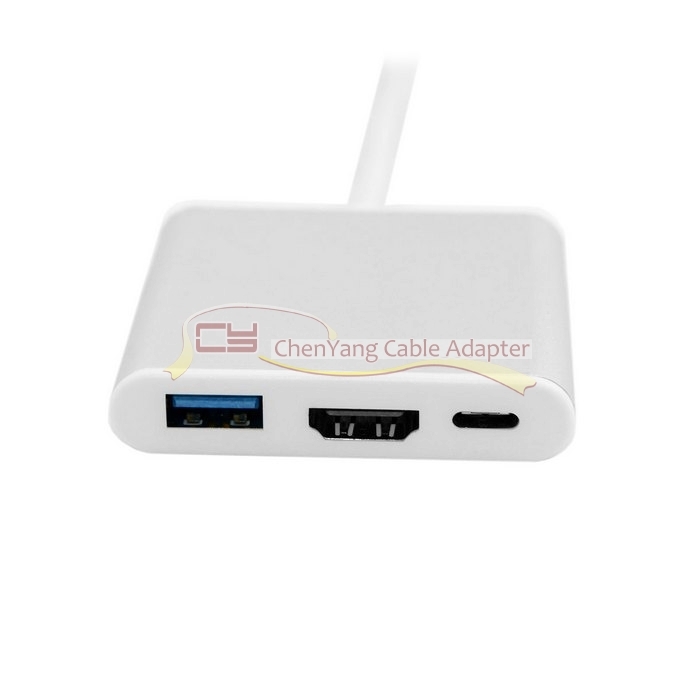 Use the standard USB port to connect devices such as your flash drive or camera or a USB cable for syncing and charging your i Phone, i Pad, or i Pod. 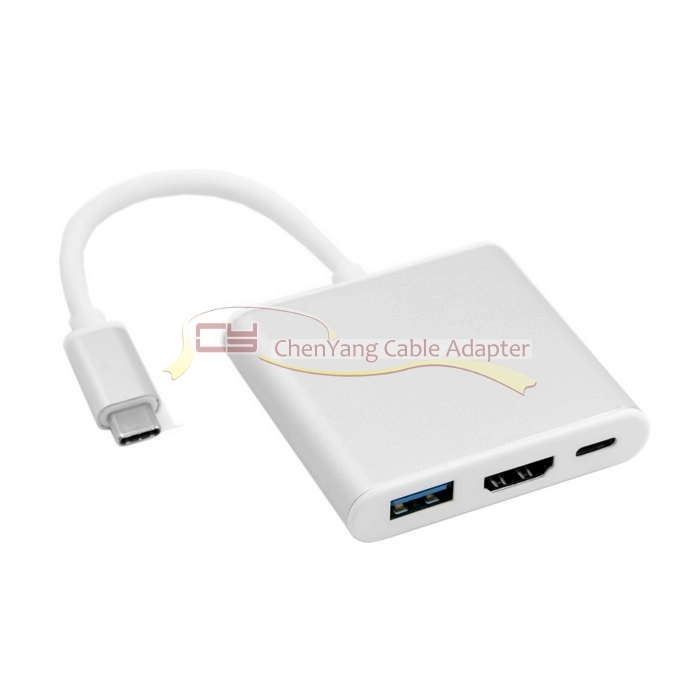 You can also connect a charging cable to the USB-C port to charge your Mac Book.